The 2016 regular session came to an end at about 4:30 p.m. today with the House adoption of Senate Sub for HB 2655, the school finance equity “fix” drafted in response to the Supreme Court ruling in the Gannon case. The Senate Ways and Means Committee had taken their finance bill, SB 555, made a few amendments mostly telling the Court why this was a good bill (something of a preamble “statement of intent”) and then on a gut and go motion inserted the contents into HB 2655. The gut and go was a way around having hearings in the House with the possibility of House amendments that would put the bill in conference and slow the whole process down. They wanted out for the Easter weekend and if the House would just concur in regards to the changes to HB 2655, they could all go home. Earlier in the morning, the Senate on final action passed the bill 32-5. All Republicans voted for the bill, five Democrats opposed it, and three Democrats did not vote. The bill was in the House for the afternoon session. It was debated there for a couple of hours but since it was simply a matter of either concurring with the changes to the bill or sending it to conference, no amendments were permitted. The bill was passed on final action in the House on a vote of 93 – 31. Slightly less partisan, the bill got 91 Republicans and two Democrats voting yes, 26 Democrats and five Republicans voted no. Representative Rubin was absent. Check the House Roll call by clicking here. Up for debate now is whether or not the court will accept this as addressing equity constitutionally. If they do, then schools will be open in August. If not, then the legislature will have another opportunity to come up with another bill during the veto session which starts on April 27. Whether or not this bill will be acceptable is purely a matter of speculation. The Supreme Court will have the final say. Senate Bill 469, the “Melcher bill” intended to end representation for teachers at the bargaining table and passed by the Senate last night by a slim margin was not taken up today in the House. The bill is no longer available for a hearing and debate or amendment in the House. But don’t think things are over yet. We will continue to be watching this issue and working to point out the chaos it would cause in local communities for school boards, administrators, and teachers. 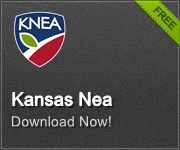 The bill is opposed by the Kansas Association of School Boards, The Kansas School Superintendents’ Association, United School Administrators of Kansas, and the KNEA. The only proponents (other than Senators Melcher, Lynn, and Smith) are the ALEC/Koch-aligned anti-education groups the Kansas Policy Institute, Americans for Prosperity, and the Kansas Chamber of Commerce. And, of course, Mr. Anonymous who wrote a letter to Senator Lynn excoriating the teachers’ unions and those who are members, which she read aloud with great vigor during debate. 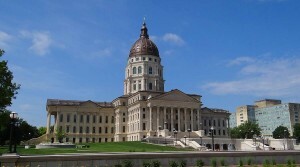 All 165 Kansas legislators will be home for the next month. This gives supporters of public education in Kansas lots of time and opportunities to meet with them, talk with them, ask them questions, and advocate for public schools. Don’t miss this opportunity to be an education lobbyist! Head for those forums, breakfasts, and meet-and-greets wearing your school colors and ready to ask the tough questions. If you see your representative in the community, approach them and respectfully request a few minutes to chat. Remember, although some may have forgotten, they were elected to represent all interests, even yours. Don’t let this opportunity to engage your representatives pass without doing so.